Summary: The intense nature of construction work can deter some, but the perks of the job can make it a lucrative and fulfilling career. Your job may be your source of income, but it can also be where you build a career. Learning the ins and outs of an industry, making connections, and deepening your understanding of the field can help you grow professionally and push the boundaries of what can be done. A career in construction can require you to work long days and put in a lot of effort but the demanding nature of the job comes with some great perks. In some lines of work, you can easily figure out what you will be doing next week and next month. 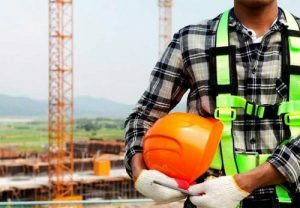 The somewhat predictable nature of some jobs may be attractive to some but certain construction crews operate on more unpredictable schedules. Independent contractors rely on making deals with clients for work. As such, the type of client you work with and the type of help it needs will ultimately determine what kind of work you will be doing. You could be working on remodeling a house one month and laying down the framework for a new shopping center the next. Those who work in construction advisory services might not be getting their hands dirty, but they also tend to jump from project to project. There are some construction jobs that will require you to work indoors, while there are others that mainly consist of outdoor work. Firms like Lyle Charles Consulting operate indoors but a traditional construction laborer needs to be comfortable with operating heavy machinery both inside and outside.